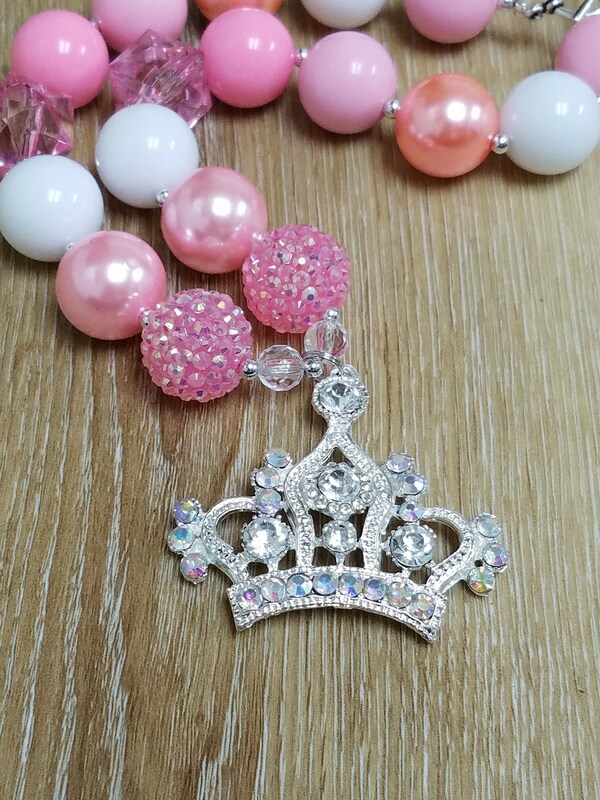 Princess Bubblegum Crown Necklace! 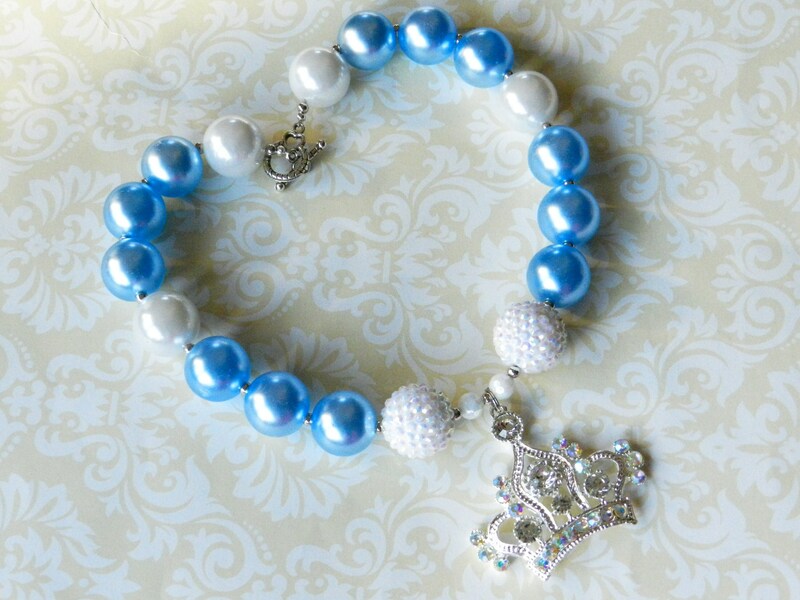 Perfect for the little girl in your life that loves being a Princess!! 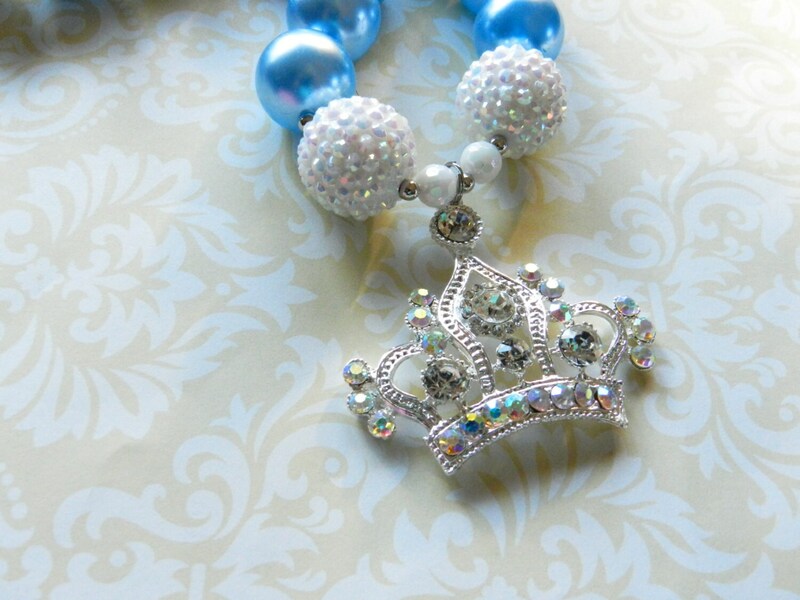 Handmade, custom designed, Chunky Necklace perfect for Infant/Toddler/Girls of all ages. Ready to ship! 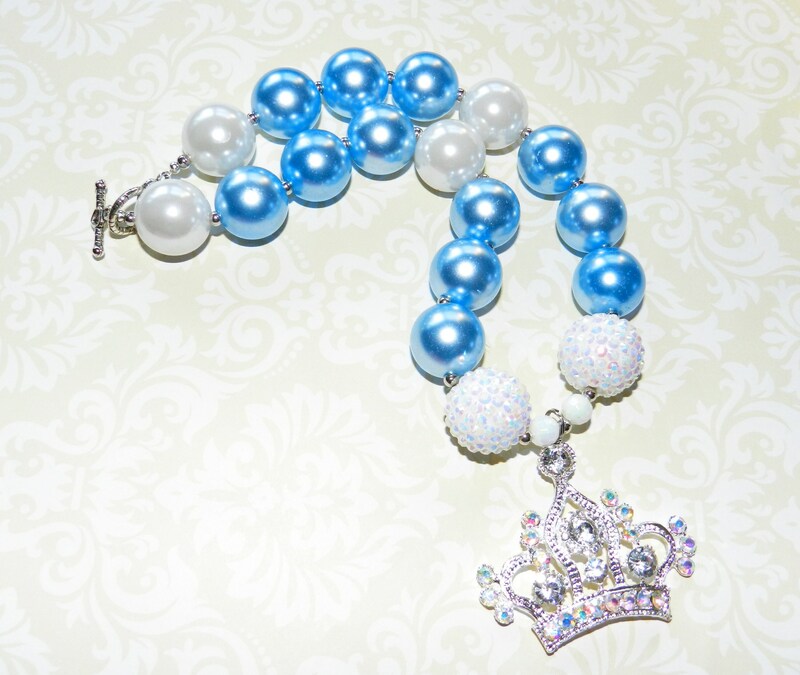 Pearl Bubble Gum Bead Necklace with a 52mm Rhinestone Crown Pendant. These necklaces are so popular right now! 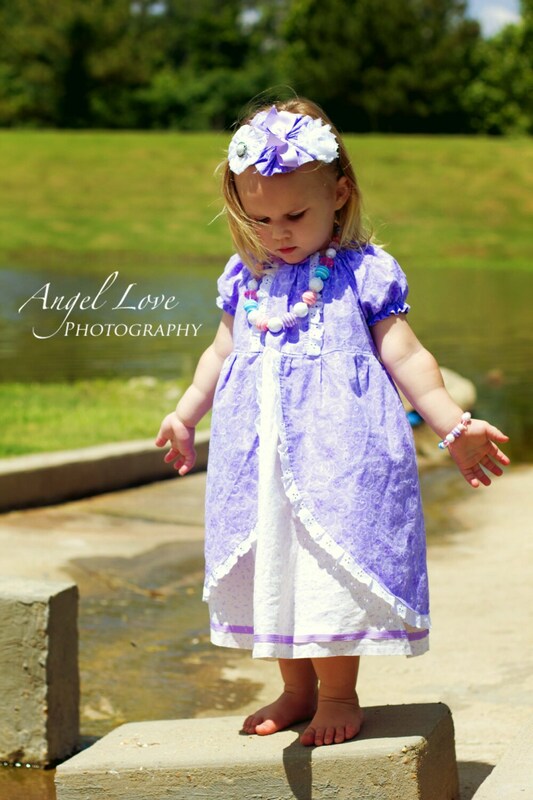 For Special Occasions, birthday, photo prop, dress-up, baby doll and me sets, weddings or anytime! Chunky Bead (child size) Multicolored, resin, acrylic, strung with toggle. You choose color way blue as pictured or pink or lavender mix. Necklace is approx 18 inches long. Last picture to help show size. ~If you do not see the colors or a design that you are looking for, please contact me. 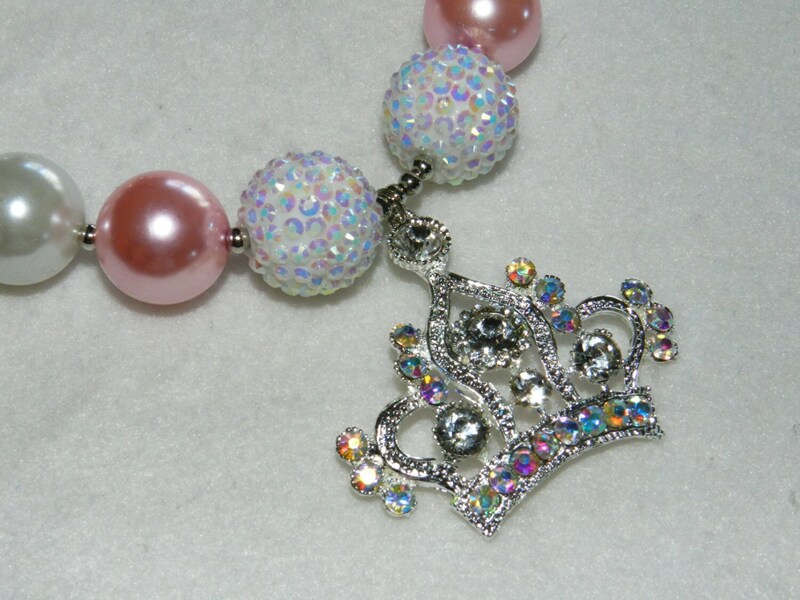 *Small parts, please supervise children carefully while wearing and like with all jewelry handle with care.